This was just as we were getting into the Crickets. 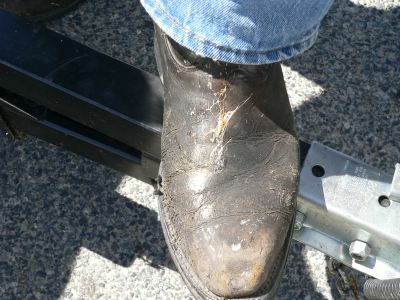 Skid had one hit his boot. A stinky mess! It looks worse than it does in this picture.